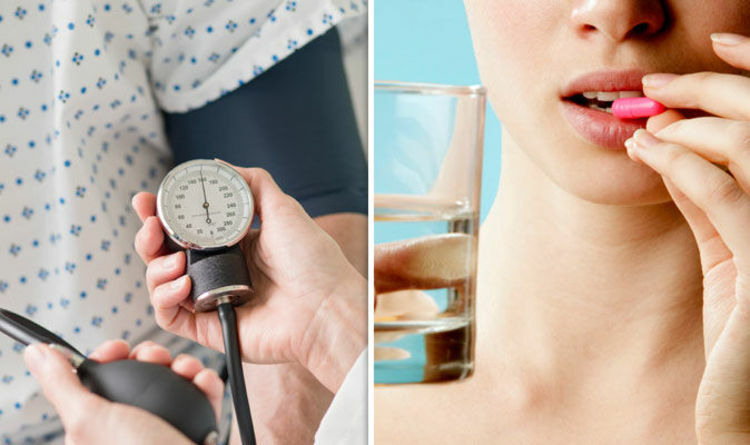 Scientists have discovered that taking the nutritional supplement, which is sold under the brand name NIAGEN, not only has anti-ageing effects, but can also help those suffering from mild forms of hypertension. It is hoped that the pill, which is already marketed online and is a form of vitamin B3, could have beneficial effects for many of the nearly one in three adults in the UK who suffer from high blood pressure. But while the tablet has been backed by the Harvard geneticist Professor David Sinclair, scientists have stressed that the results are not yet conclusive, though they are highly promising. In the new study, researchers found that while the vitamin pill primarily triggers some of the same biochemical mechanisms as fasting, it has the secondary positive effects on hypertension. Researchers gave the pill to half of a group of 30 adults between the ages of 55 and 79. The other half were given a placebo. They found that NIAGEN showed signs that it benefited those with high blood pressure by slowing down the pace of cardiovascular ageing. Scientists said the most beneficial effects of taking the supplement were on those who suffered with mild hypertension, which was reduced by just under 10 per cent. Chris Martens, lead author of the new paper at at the University of Colorado Boulder, said: “Nearly 60per cent of the US population, mostly middle-aged and older adults, have elevated blood pressure or stage 1 hypertension, and nearly two thirds of cardiovascular related events (such as heart attacks) occur in individuals with blood pressure in this range. Hypertension, the leading cause of heart disease and stroke, affects more than one billion people worldwide and kills 9.4 million people every year. When your heart beats, it pumps blood round your body to give it the energy and oxygen it needs. As the blood moves, it pushes against the sides of the blood vessels. The strength of this pushing is your blood pressure. If your blood pressure is too high, it puts extra strain on your arteries and your heart. High blood pressure is responsible for more than half of all strokes and heart attacks and is also a risk factor for heart disease, kidney disease and vascular dementia. In the UK, high blood pressure is the third biggest risk factor for all disease after smoking and poor diet.The condition directly increases the risk of heart disease which remains the UK’s biggest killer, claiming around 160,000 lives a year. Last night, the findings from the new study into the supplement were cautiously welcomed by scientists. The active compound in the vitamin pill is known as nicotinamide riboside and is seen as a “master chemical” affecting inflammation, metabolism, stress resistance, nerve cell function and the body clock. Dr Charles Brenner, discoverer of NR as a human vitamin, said: “The Colorado study is a landmark because it provides beautiful, placebo-controlled safety data at 1 gram of NR per day while also indicating that NR has the potential to support healthy cardiovascular function in people. Robert Fried, President, and Chief Operating Officer of ChromaDex which produces NIAGEN, said: “We have a responsibility to continue uncovering the value of this nutrient. But some were more sceptical.Gunter Kuhnle, associate professor of nutrition and health at Reading University questioned how meaningful the results were, saying that exercising could produce the same results.